CloudVOTE is a powerful wireless voting system that utilizes a Wi-Fi connection in mobile phones, tablets, laptops, as well as radio frequency (RF) audience response keypads to collect votes from participants quickly, securely, and accurately. 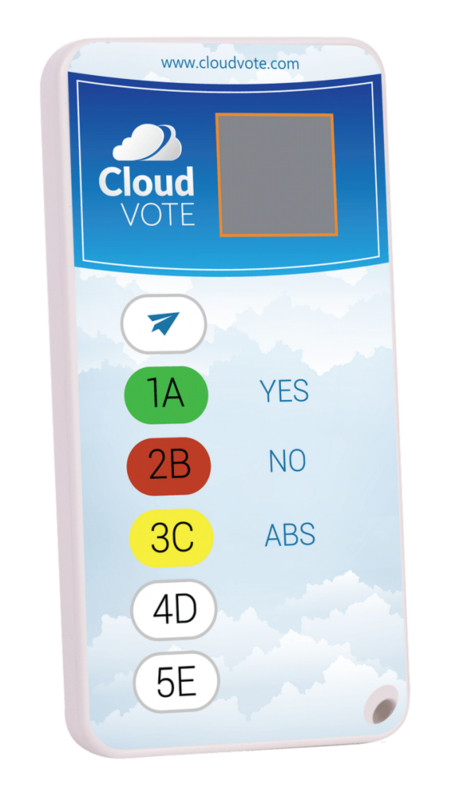 Organizations such as councils, associations, government, fraternal, and religious groups around the world use CloudVOTE to collect votes from motions, elections, and general feedback questions during their live events. CloudVOTE makes voting simple by allowing all of its users to create their polling and voting content directly inside of a PowerPoint Slide. CloudVOTE treats each slide as a voting topic or motion. Users can edit and customize their voting slides with the content or images they see fit. 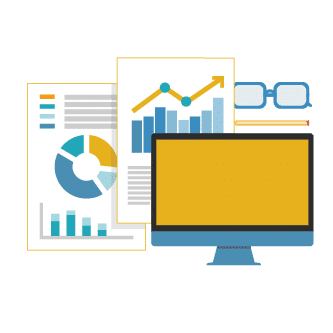 Slides can be further customized by adding images of candidates or graphics that best relate to specific motions. Once the voting topics are created, all a user has to do is upload them and start a voting session. CloudVOTE keeps a record of how the participants responded to each question. The results for any motion or vote can be shown immediately or repressed once a user closes the vote, but whether the votes are shown or hidden in real-time, CloudVOTE stores the polling information and organizes it in a variety of reports that allow each vote to be audited for accuracy or kept for future records. To learn more about CloudVOTE’s reporting and vote records please visit our reporting page.